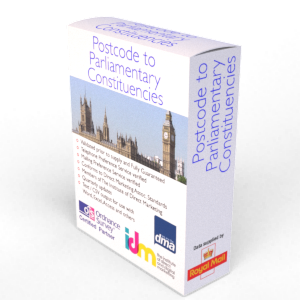 Postcode Wards are the key building block of UK administrative geography, being the areas used to elect local government Councillors in metropolitan and non-metropolitan districts, unitary authorities and the London boroughs(unitary authorities in Wales; council areas in Scotland; and district council areas in Northern Ireland). Postcode Wards are found in Scotland, Northern Ireland and most of England. In Wales, the Isle of Wight and several of the new Unitary Authorities the equivalent areas are legally termed 'electoral divisions', although they are frequently also referred to as wards. The only part of the UK without electoral wards/divisions is the Isles of Scilly which has its own council but no electoral zoning. Postcode boundaries and administrative boundaries are created independently and therefore bear no relation to each other. This database therefore is an essential tool to relate residential and business addresses to administrative geography. The Postcode Ward data is ideal for relating Postcodes and address information to the respective ward, district or borough. Therefore the data is ideal for relating residential or business addresses to council areas for public service provision or for determining all Postcodes and addresses falling within specified Wards and Districts. The Postcode Ward data covers the United Kingdom (England, Scotland, Wales and Northern Ireland). The Postcode Ward data is by default emailed at the time of order using a secure download link delivery method. If you require the data supplied in another format then we will be more than happy to accommodate you where reasonable to do so at no extra cost. The Postcode Ward list is licensed annually for each user that has access to it.